Always on guard for synonyms of the word “election”, I stroked through thesauruses, translations and search icons I could lay my fingertips on. I simply fell for one word-“choice”. At least chosen candidates will be featured in various media and other public (or private) circles. Zimbabwe will definitely be part of the trending “breaking news”, “pieces on politics”, “most watched online” landmark events and so forth. Let me risk describe the “now and then” of this election to be one bracketed by constant spasms at this moment. Don’t ask me to explain why I take this risk. It’s all about the victory cert. 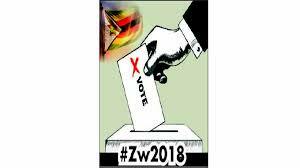 Monday July 30 2018 is a public holiday in terms of Zimbabwe’s electoral laws. The wait is over! After 7pm or such other time as vote-casting shall end, great expectations will become an avalanche of reality for those to be elected. Those who will fail will have done so with dignity – doubtlessly because this is an election where most candidates campaigned vigorously and didn’t sell us a dummy of themselves in many ways than one. Pertinent questions on who will be the people’s choice in the Presidium, National Assembly or local government have dominated our polity in the pre-election period. Now it’s time for the answer. But I know that the voters will add their voice through the ballot. We also heard concerns from interested countries, (sub)-regional bodies and civics, observers and expert pollsters, analysts and, most importantly, – the elders in politics and good governance on the roadmap to elections – we made our points. The art of politics is in the ballot – the Monday ballot! Don’t forget the terrific Tuesday in November 2017. Less than half of Zimbabwe’s population has registered to vote this year. I may loosely talk about how the “tyranny of the minority” is going to defeat the tyranny of the majority in this election. I say so because very few people (the registered voters) are going to decide the governance trajectory on behalf of many who didn’t register. That aside, I eagerly wait to read in future that Zimbabwe is a colony of electoral democracy. Wounds – some kind of wounds in the contested elections after the turn of the millennium – must leave us. July 30 must be the turning point. We are all talking about influencers of Government business at the moment: the supporters we are identifying as voters; the candidates’ companions of the way to political power. Two pillars of the State stand to directly benefit here: the Executive will get a President – first among many, also frequently called Zim-1 – appointed through direct democracy; and the Legislature will get its officials – representatives of the will of the people under representative democracy. If you follow the election period in Zimbabwe today using its past episodes, it remains, so to speak, a glass house. The better way is to see the country and the voters together; and you then see a people hoping to see a New Zimbabwe – moving towards positive social change. The description of the July 30 elections as an historic election is simply explained by the new politics: new faces on the ballot, new culture of tolerance – although there is still concern over several issues for reform and open engagements among rival politicians. The world needs a Zimbabwe largely seen as a beacon of democracy and the rule of law; a Zimbabwe which steps up as a stable democracy; and a Zimbabwe which is not retreating into pariah status. Every democratic nation is following Zimbabwe’s new vision in the post-Mugabe era. Let’s strive to follow the United Kingdom and the United States – the leaders of the world’s most powerful democracies. Let’s take a leaf from India, the largest democracy under Narendra Modi (who is moving his country by force of will and conviction). Why Zimbabwe will be a big read? Who shall drive her into economic and political stability? How soon will he do so? Is it after an overwhelming victory; after a run-off; or after the signing of another power-sharing deal after the Government of National Unity? The answers are predicated on the fact that Zimbabwe had a lot of missed opportunities for the past 38 solid years, all because of strained relations, soiled reputation; liquidity crunches, and bad governance. We isolated ourselves because of repressive politics, cultures of impunity in human rights violations and brazen rule by law. We are slowly moving towards a culture of vertical accountability – step by step. But recently, we have seen the three pillars of State – Executive, Legislature and Judiciary – devising means to ensure citizens and State officials are accountable. This election is thus an acid test for the legitimacy of winners and the legitimacy and independence of State institutions such as courts (when they deal with electoral crimes and disputes) and independent institutions such as the election management body – ZEC. I am happy institutions such as the Zimbabwe Gender Commission (ZGC) have added their voice on the participation of women. I hope to read what all the Chapter 12 institutions supporting democracy – the Zimbabwe Human Rights Commission, the National Peace and Reconciliation Commission, the Zimbabwe Media Commission, the Zimbabwe Electoral Commission (ZEC) and the ZGC – will be saying after the election, each using its mandate to map our future on governance and transitional justice. We can’t hope to be in an economic drive without upholding good governance indicators such as voice and legitimacy or accountability and so forth as espoused by governance institutions such as the World Bank. What must punctuate Zimbabwe’s relationship with multilateral lending institutions and other investment partners after years of mistrust and shaky interaction? The answer starts in the ballot; the counting and the shunning of rigging dispositions. The conduct of ZEC and candidates (however diverse, multiracial, and multicultural) during and after the election must reflect highly on the maturity of our politics. I know July 30 will make Zimbabwe the meeting point of debates on progressive democracy; economic growth, damage control models, institutional legitimacy, and most dominantly – credibility and legitimacy of the electoral outcome. For most citizens, the relevance of the cash purse must depend on this election. To them, the outcome of this election should also lie in the need to keep foreign investors and local depositors at peace with their investments or savings. This vote must make our new politics to be one where we don’t short-change the electorate, where the atmosphere of tolerance must produce votes of tolerance, and where our history and progressive constitutionalism must be seen as treasures for the current and future generations – all captured by the symbol of Zimbabwe’s Jewel status. For this matter, July 30 isn’t just coming because the Constitution embeds political rights or some founding principles. It’s coming because it’s in our will and social fabric as its people to shape its future as a stable polity where decent life is never seen as a bridge too far. 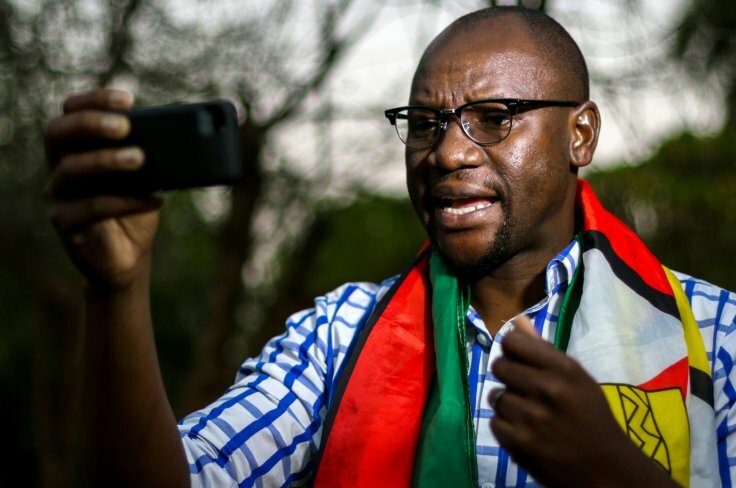 To make the big read, therefore, let’s provide lessons to all democracies (mostly fragile and transforming) that are watching us closely that Zimbabwe – this republic – is slowly recovering from past contested, and bloody electoral episodes. We want to be strangers to the axiom, “the more things change, the more they remain the same”. Vote tolerantly!